Anyone who is aware of the Mad Professor’s illustrious career, may not know that his world famous Ariwa studios are based in South Norwood. 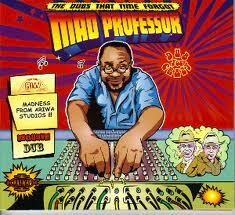 Neil Fraser aka Mad Professor has kindly agreed to let SNTB take some school children for a tour of his studio in the New Year. The Mad Professor has worldwide acclaim for his production and collaborations, and is an inspiration for anyone wishing to have a career in the music industry.